Home / Uncategorized / The Einfield poltergeist. Everyone’s heard of the Enfield haunting right? !, well if not here is what it’s about. The Enfield haunting occurred in August 1977 when Peggy Hodgson called the police reporting that furniture started moving and knocking sounds were heard on the walls. 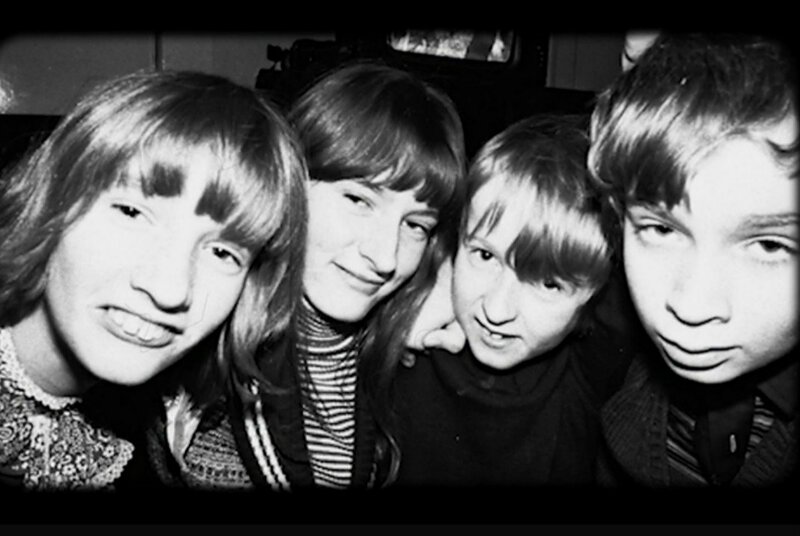 Peggy has 4 children Margaret aged 14, Janet aged 11, Johnny aged 10 and the youngest Billy who was 7 years old. Incidents kept happening in the house such as demonic voices, thrown toys, loud noises and banging of all which couldn’t be explained. The young girl Janet and Margaret spoke in a deep voice resembling an old man, and would say things about a man named Bill Wilkins who had previously died in the home. Although Janet was mainly affected, with most paranormal occurrences happening around the youngest girl. Many believe this was an elaborate hoax to capture media attention. Below I will list reasons which suggest it could be a hoax and then reasons which suggest it could have been real because of the difficulty to explain them. Was it all a hoax? ⚫There is a video that was done by the BBC of the girls being interviewed about the so called hauntings. They begin talking about what happens in the house when a reporter asks the girls “What do you think about your house being haunted?”. Janet then responds very quickly by saying “It isn’t haunted!”. Margaret her older sister quickly tells her to Shh! This could suggest they know it really isn’t haunted and maybe that was a slip up. There is a video on YouTube of this particular interview. ⚫ In the same interview I speak about above Janet starts speaking in a croaked man’s voice were she says she feels the voice coming from behind the back of her head and neck. As the young girl speaks you can see Janet’s mouth fidgeting and her fingers keep moving in front of her mouth. She also keeps moving her mouth, could she be acting as a ventriloquist? Many believe she is and if you see the interview you can easily see why. ⚫ When Janet is speaking as Bill she tells a lot of details about how he died, where he died and when he died. All which the girls could have heard from neighbours or even found out themselves. ⚫Maurice Grosse the paranormal investigator for this case supposedly witnessed most of the activity reported by the girls. We see footage online of Maurice standing at the girls bedroom door where he has a shoe thrown at him. Although we don’t see where the shoe has been thrown from, could it have been someone behind the camera? *BBC Einfield poltergeist interview on YouTube to witness all clips spoken about *. ⚫ Maurice Grosse himself admitted the girls were caught making up some of the ‘ paranormal activity’ such as bending spoons and throwing objects and blaming the ghost. If the activity is real, is their really a need to fake anything or was it perhaps them just being children and playing tricks because they felt they had too. ⚫Peggy Hodgson lived out the rest of her days in the Einfield home where she eventually passed away. I don’t know about you, but I don’t think I’d continue to live somewhere like that. ⚫The very well known pictures of Janet being lifted into the air by the so called poltergeist. Many have suggested it looks like she’s just jumping of her bed and as you’ll see in the picture below, it’s easy to see why people would think this. Perhaps it did happen. Let’s look at reasons why below. ⚫ Over 15 people witnessed different types of unexplained activity in the home such as Lego being thrown across the room when no one is there. A neighbour looked above at Janet’s window where she allegedly saw the young girl levitating. It’s highly unlikely all these people would make this up. ⚫Peggy was described as a caring, loving mother so would she really allow her kids to make this up or even worse help them along with a made up story. ⚫ Maurice Grosse did a test on Janet where he made her take in some water, taped her mouth and then Bill speaks through her. He watches her do this as do many others, afterwards she spits out the water. If it was faked, how did she still have that amount of water left in her mouth? ⚫ On the first night of activity in August 1977 the police were called as furniture moved etc. Whilst the police were there a chair moved across the room then down were it came to rest, as if that isn’t strange enough they checked for wires and any explanation and their was none. ⚫ There are many recordings made of the girls speaking with Bill’s voice for a very long time with no breaks whatsoever. Professionals have said this is impossible to do without suffering vocal chord damage. The girls never had this. ⚫ Ed and Lorraine Warren arrived to the Einfield home where they reportedly told the family and Maurice Grosse they could make them a lot of money, they all said no. If money was a factor they would say yes, especially as The Warren’s had become very well known by this point. ⚫ Until this very day the girls still insist it happened and it’s very rare you will see them do an interview. Surely if they wanted attention they would say it’s a hoax, they would certainly get attention then. ⚫ The woman are still damaged about it even today and very emotional, they don’t like to talk about it and I believe that suggests some trauma of the event. What do you think? Did an 11 year old girl really fool the whole country and numerous witnesses for a long time, or was there really an Einfield Poltergeist. Leave your comments below. Previous post: The Closest Catch To Something Truly Paranormal??? Next post: Red Ridge X Curiosity Corner – Item #2 Shrunken head. Very well balanced report thank you. Personally I feel it was a bit of both. That activity was happening, but they also faked incidents to keep people interested. After all, if you were going through such fearful events wouldn’t you want as many people as possible around to help? I believe it was real in parts and maybe a bit of a hoax in others,you have given a very good report of both sides.